The news would appear to be a relic from the past if it were not coming from Saudi Arabia. Beginning January 1, women have been allowed to attend sports events in some stadiums in the country. The first cinemas are now opening, and Saudi women will be legally allowed to drive from June of this year. The religious police have been banished from the streets. Since late 2017, public concerts have been drawing fans of all ages. In mid-March, Crown Prince Mohammed bin Salman said that it would be left to women to decide what type of “decent and respectful attire” they choose to wear. Saudi women must no longer wear traditional black abayas or headscarves, or cover their faces. The driving force behind these reforms is the 32-year-old Crown Prince, known colloquially by Saudis as MBS. In March 2015, he was appointed second crown prince by his father, King Salman. In June 2017, he became the first Crown Prince. 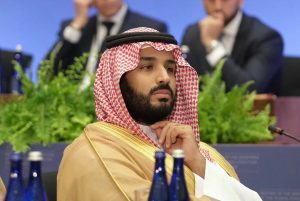 Since then, Mohammed bin Salman has accelerated the pace of reforms, which aim to transform the hardline kingdom – long an exporter of a particularly intolerant form of Islam in addition to petroleum – into a youthful and more open society headed by a political leadership that does justice to the position of responsibility it holds both at home and abroad. Quite befittingly, Mohammed bin Salman on his recent three-week journey across the US gave the magazine The Atlantic an interview in which he as the first Saudi politician recognized Israel’s right to existence. The road is a long one, but Rome was also not built in a day. In any case, the glass is no longer entirely empty. What other countries have long taken for granted is also becoming the norm in the Kingdom of Saudi Arabia. The ruling House of Saud is breaking its pact with the reactionary Wahhabi clerical establishment – a pact that has served as the foundation of the ruling family’s legitimacy for more than 200 years. Today, Wahhabi ideology has become a burden that is no longer compatible with a modern society. In October 2017, Mohammed bin Salman vowed that Saudi Arabia, the country that is home to the “two holy sites” of Islam, would return to a more moderate form of Islam, one that would be open to all religions and to the world. He said that he wanted to destroy the “destructive ideas” of the religious extremists and bring an end to extremism. Saudis should be given the opportunity to lead normal lives, and religion and tradition should be expressed in a more tolerant form. The House of Saud is increasingly keeping its clerics on a short leash. At the same time, it is making overtures to the Kingdom’s subjects with the aim of turning them into citizens. This is transforming the social contract upon which the Kingdom has rested. The House of Saud now seeks to secure political legitimacy via a new social contract, which is still in the process of being written. Until now, this contract has rested on a generous welfare system that provided for every Saudi subject from the cradle to the grave. In return, Saudis relinquished their right to political participation. This welfare state was funded by proceeds from petroleum production, with crude oil serving as its lubricant. But due to ongoing low oil prices coupled with a rapidly growing population, this model is crumbling. To remain stable, Saudi Arabia will need to change. Before Mohammed bin Salman was appointed Crown Prince, all attempts to launch reforms in the reclusive kingdom had stalled. Yet surveys have shown that the yearning for change is greater in Saudi Arabia than any other country in the Arab world. The previous policy of “progress without change” is no longer sufficient; young Saudis are demanding reforms. In surveys, some 90 percent of young Saudis say that “the leaders of the Arab world should do more to improve individual human rights and women’s rights.” That percentage is higher than in any other country in the Arab world. And young people are in a clear majority in Saudi Arabia, where two-thirds of the country’s 22 million citizens are under 31 years of age. Consequently, King Salman instructed the Crown Prince to draw up a comprehensive program of reforms. On April 25, 2016, Mohammed bin Salman presented the main features of the Vision 2030 program. The program aims to undertake fundamental economic reforms, which will indirectly lead to social change. For example, women make up two-thirds of university graduates in Saudi Arabia, and yet only 21 percent of Saudi women work outside the home. Increasingly, Saudi women are demanding employment opportunities commensurate to their education, and an end to the ban on women’s participation in public life. Women are now becoming a more visible part of the economy, society and politics in the Kingdom. The lifting of the ban against women drivers is also a step in this direction. Sweeping economic reforms are key to this transformation. In particular, Vision 2030 seeks to reduce the Saudi economy’s dependence on oil. The share of oil and gas in the country’s GDP is slated to fall from 47 percent to just 11 percent by 2030, while per capita GDP is expected to nearly double to $6,000. The aim is to transform a country whose prosperity has not been founded on the productive use of labor and capital into a competitive and knowledge-based economy. A massive education initiative, which seeks to increase the current low labor productivity rate, is also an essential part of the program. The entire educational system is to be overhauled. These are ambitious goals. 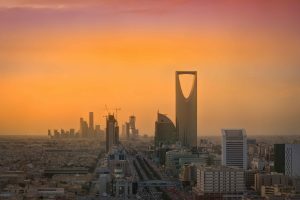 Even if the Vision 2030 reforms are only partly implemented, it is clear that the Saudi Arabia of the future will be different from what it is today. The opening move came on November 4, 2017, when the Saudi attorney general ordered the detention of 208 people as part of an anti-corruption investigation. Among those detained were prominent members of the royal family, former government ministers, and leading business people. Corruption was endemic in Saudi Arabia, as much a feature of the country as its petroleum reserves. The unprecedented move was heralded as a necessary step in the Kingdom’s crackdown on the corruption that had been thwarting the country’s development. According to Saudi leaders, the anti-corruption investigation will bring a new era of public transparency and accountability. The wave of arrests also cemented the Crown Prince’s popularity in a society in which complaints about corruption and the privileges enjoyed by the princes were growing ever more sharper and pointed. 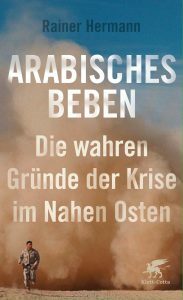 For many years, Middle East expert Rainer Hermann has been a foreign correspondent and editor of the daily Frankfurter Allgemeine Zeitung.